Do you know those moments in life when you are exactly where you are supposed to be at that specific point in time? 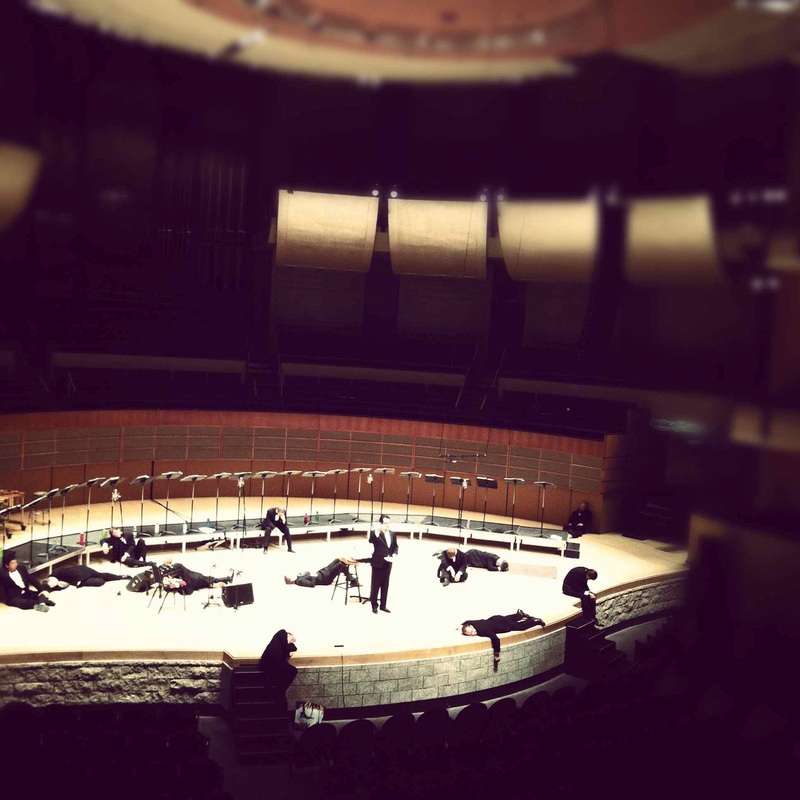 The opening Pro Coro concert at the Winspear was definitely one of those moments. The entire concert had this amazing flow of thematic continuity from the repertoire choice to the movement at the start of the second half of the concert. Grieg's "Morgenstimmung" quintessential morning mood tune primed our audience for the fairy tale themed concert and this moved into Brahms' Drei Gesänge op.42. It is difficult to really internalize a piece of music when you rehearse it in such a short period of time, but I felt like there were solid stretches of automatic ease during the Brahms performance. As well, the delayed onset of the the final word consonants 'ft' in the word "schläft" aligned properly for the first time in response to Zaugg's gestures at the performance. Finally! Gjeilo's "Unicornis captivatur" was one of the most fun because we were gesturally pliable since we weren't dependent on our music. The first half also contained Rain and Rush and Rosebush set to the Hans Christian Andersen tale by Bo Holten. 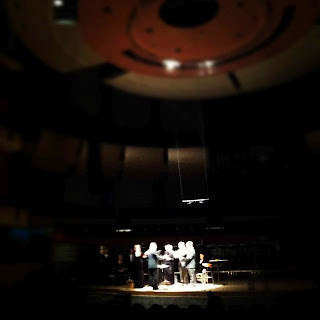 I loved this piece when I heard it at Podium with voces boreales performing and it was still amazing this time around. Giacomin's world premiere of "The Man and the Echo" set to W.B. Yeats's poem was goosebump inducing. I spoke to two choristers from the University of Augustana after our Camrose concert on Saturday and one of them mentioned that she didn't feel like breathing during the piece. I found that to be a very powerful phrase because the suspended beauty of the humming lines created an acoustic tension to support a gorgeous lyrical tenor solo. It created a transient musical moment, so fragile, that a mere breath felt like it would disrupt it execution. The second half began with a narration by Dr. Leonard Ratzlaff setting the scene for the rest of the tale we were about to tell. The Pro Coro men came on stage to lie down as if they were sleeping in the tiny village. The Pro Coro women stood perched in the first balcony, singing Trillo to wake the men up, and embracing their brassy Scandanavian belts. One of my favorite sound colors to produce. This flowed seamlessly into Gibbon's "Cries of London" where each chorister became town characters and roamed the Winspear Hall selling wares and interacting with one another as if in a village marketplace. One of my favorite parts during the "Cries of London" was when I walked up to a gentleman trying to sell my "hot pudding pies." He looked at me and said: "what are you selling?" with a flustered and confused look. I'll take that as a good sign that my adopted cockney accent made me appropriately unintelligible. 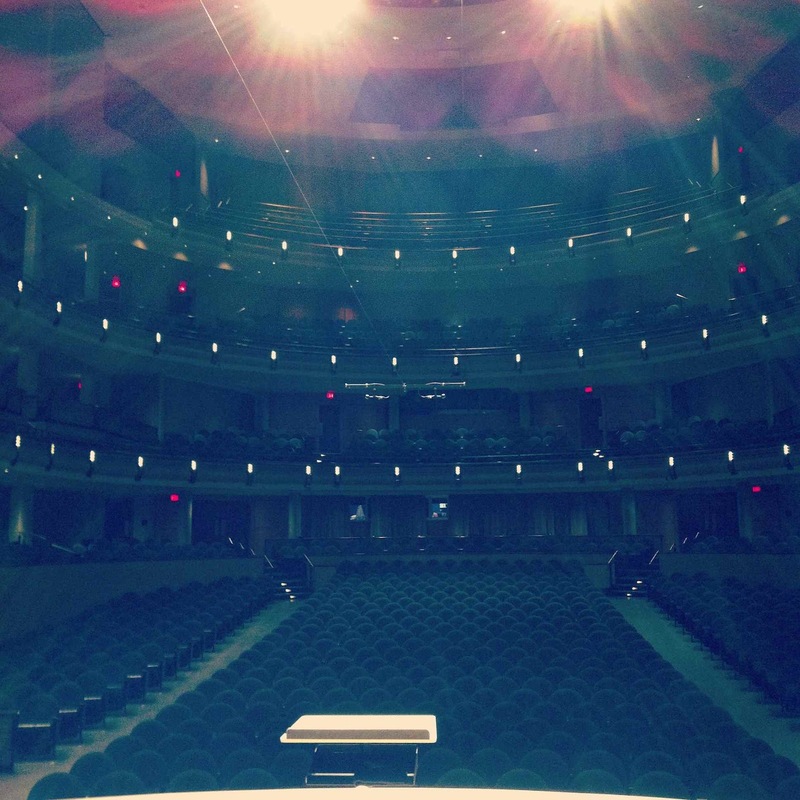 In terms of our Canadian premiere performance of 'The Nightingale,' it was magical. Matthias Maute's stellar recorder playing elevated the performance. There were moments when I would close my eyes and be aurally consumed by the story being told by the voices around me. I will not even attempt to recreate the sentiments echoed in my former Nightingale post (if you wish to learn about my thoughts on the piece, I will direct you to that previous entry). What was fun to see at the live performances was the audience reaction to the piece. At the point in the piece where members of court try to sound like Nightingales, I could hear chuckles in the audience as they watched Pro Coro choristers take a sip of water, tilt their heads back, and proceed to gurgle on pitch. 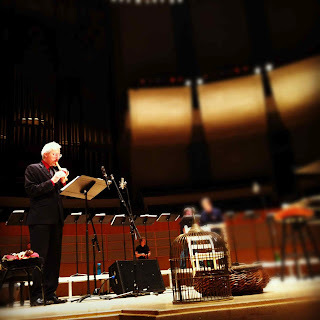 At one of the most climactic moments, where the choir is singing about the good and evil deeds encroaching upon the Emperor's deathbed, there was such a massive outpouring of ominous sound from the stage that filled every Winspear crevice. 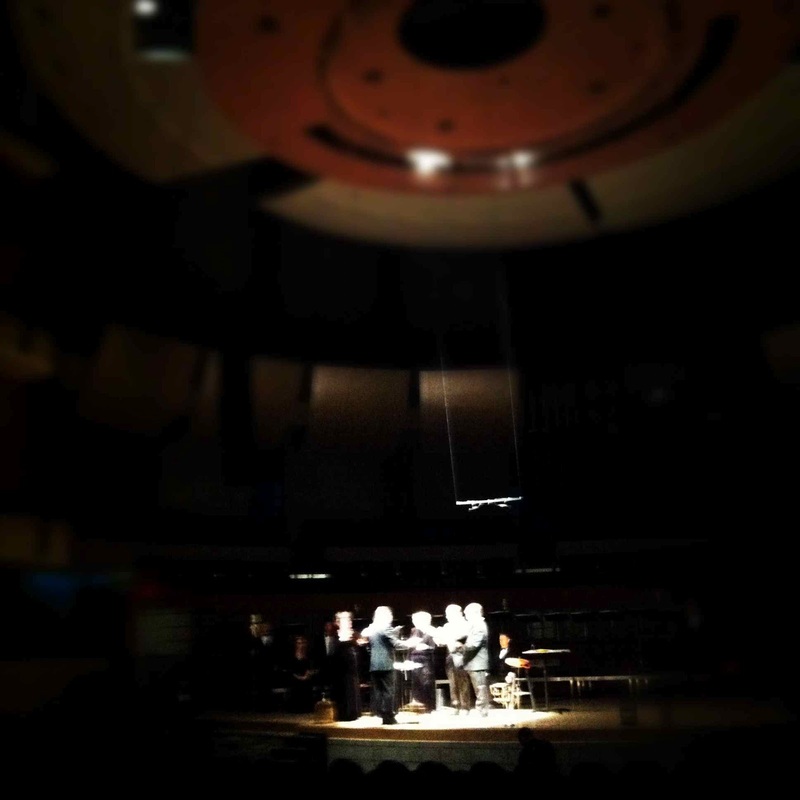 How does Pro Coro continue their season after such a show-stopping opening concert? It doesn't worry me because there is a level of trust that Zaugg has established since working with Pro Coro. Zaugg has a vision for Pro Coro. I trust him completely and would follow him where he takes the choir musically and professionally. He has introduced me to a new realm of music, a new performance sensibility, and a new choral voice. At this specific point in time in Pro Coro's history, the choir is ready to embrace a new aural identity. 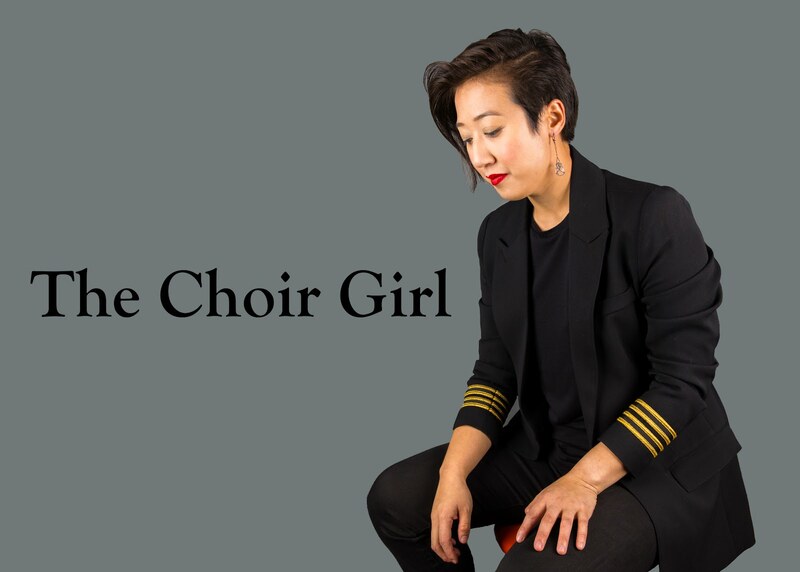 You should take a listen - it is not everyday a professional choir makes a new sound debut. So THAT's what you were selling :) How amusing for you to be purposely unintelligible -- in contrast to this highly articulate and insightful blog. Oi, thanks, Sable! I kinda love these anon comments because they make me feel like I always have friends in the crowd :) Thanks for reading and attending the concert! I agree with your well-written musings in totality. As a chorister myself (Chorale Saint Jean), I really appreciate that you were performing, giving us an inside voice to a spectacular event! I am not a huge fan of blogs, but I now am of yours! I had the exact same feeling of being in no better place than the Winspear (my 1st concert there!!) that day. I have appreciated ProCoro performances in the past, but this was by far the most enjoyable in so many ways! Bravo!